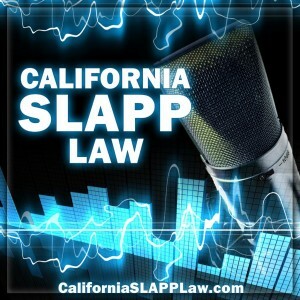 In Episode 17 of the California SLAPP Law Podcast, we go back to basics, with an introduction to the fundamental concepts behind California’s SLAPP Law and anti-SLAPP motions. It was a great anti-SLAPP week at Morris & Stone. Today we discuss two of our motions, and the result of last week’s Evil Yogurt Maker case. We will examine the scope of discovery following the filing of an anti-SLAPP motion, and apply those standards to a pending motion. Specifically, I discuss the case of Britts v. Superior Court (2006) 145 Cal.App.4th 1112. In Britts, the defendant filed an anti-SLAPP motion on the same day that his opposition to a motion to compel was due. He argued that under the plain wording of CCP section 425.16(g), the motion stays all discovery “proceedings”, and therefore he was not required to file any opposition to the motion. The trial court disagreed, and granted the unopposed motion to compel, and awarded $5,000 in sanctions. Britts took the matter up on a writ, and the Court of Appeal ordered the trial court to vacate the ruling on the motion to compel and for sanctions, holding that the statute means exactly what it says; an anti-SLAPP motion stops all discovery proceedings, including any pending discovery motions. The trial court had also made a strange ruling (on an earlier anti-SLAPP motion in the case) that the defendant was not entitled to all the attorney fees incurred on the motion, because he had failed to meet and confer with opposing counsel. In other words, the court felt that if plaintiff’s counsel had simply been informed that one of the causes of action was a SLAPP, the complaint could have been amended and the motion avoided. That was not a holding from the case, but I explain why that reasoning is terrible and, if followed, could constitute malpractice. 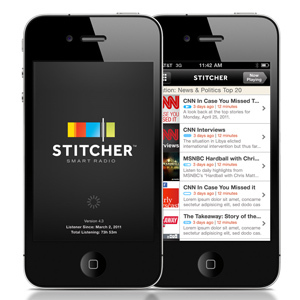 I also discuss the case of Blanchard v. DirecTV (2004) 123 Cal.App.4th 903. In Blanchard, the court deliniated the scope of permissible discovery after an anti-SLAPP motion has been filed. As set forth in CCP section 425.16(g), a plaintiff must show good cause before taking ANY discovery after an anti-SLAPP motion has been filed. Good cause means ONLY discovery relevant to the Plaintiff’s burden of establishing a reasonable probability of prevailing on the claim. Discovery that is NOT relevant to a legal defense being asserted by the Defendant in the anti-SLAPP motion is not permitted. Given that Blanchard permits only discovery related to potential defenses by the defendant, the case of Balzaga v. Fox News (2009) 173 Cal.App.4th 1325 came to the logical conclusion that if a plaintiff seeks leave to pursue discovery on a given defense, the defendant can prevent that discovery by informing the court that it is waiving that defense. A client found me while searching for information about California Code of Civil Procedure section 425.17, proving that clients do some very sophisticated research on their legal issues. Changing the facts to protect the privacy of my client, he had warned the public about an evil yogurt maker who was falsely claiming to sell organic yogurt, and for that good deed he was hit with a lawsuit for defamation and interference with business. In today’s podcast, we discuss the elements of CCP section 425.17, which under the proper circumstances will exempt a business versus business claim from the anti-SLAPP statute. In the most basic sense, section 425.17 applies when one business is talking about another business’s goods or services, AND the audience that the business is talking to consists of potential customers, AND the point of the talking is to promote the speaker’s own business. Will section 425.17 defeat the anti-SLAPP motion, and allow the evil yogurt maker to go forward with his bogus defamation claim? Listen to episode 8 of The California SLAPP Law Podcast and find out. Case cited: Sharper Image Corporation v. Target Corporation, 425 F.Supp.2d 1056 (N.D. CA 2006). In this case, Sharper Image, manufacturer of tower air purifier brought action against Target, manufacturers and retailers of competing product, alleging patent and trade dress infringement. Target moved for summary adjudication of plaintiff’s claims and their counterclaims for non-infringement of the asserted patents. Sharper Image separately moved to strike defendants’ tort and state law counterclaims, and in the alternative, moved for judgment on the pleadings of the counterclaims, and for partial summary adjudication on its utility patent infringement claim. Of note for today’s discussion, the court found that the anti-SLAPP motion was excluded by CCP section 425.17, but nonetheless threw out the claim under the alternative motions. A suit against a public official who is accused of acting on a contract in which he or she has a personal financial interest does not implicate speech or petition rights for purposes of the anti-SLAPP statute, the Court of Appeal for this district has ruled. Similar to the HOA case I reported yesterday, the fact that the defendant is voting or acting in an official capacity does not successfully invoke the anti-SLAPP statute if the basis of the action is fraud or breach of fiduciary duty. Here, members of the Los Angeles City Council voted 3-2 to award a 15-year, $150 million contract to a company in which one of the members had a financial interest. The Court of Appeal, said the a council member’s vote is an act on behalf of the public, not the individual, and thus does not implicate free speech and petition rights. With the wisdom of a penny-stock investor trying out day-trading for the first time, the brilliant financial minds at CalPERS (California Public Employees’ Retirement System) decided to dump more than a billion dollars into three “structured investment vehicles” or SIVs, backed by subprime mortgages. (That was a really long sentence but I think it’s grammatically correct.) After all, Standard & Poors had given these three SIVs AAA ratings, even though they were “stuffed full of toxic, subprime mortgages, home equity loans, and other types of structured-finance securities linked to subprime mortgages,” as CalPERS now alleges. As most do when they make really bone-headed investment decisions, CalPERS looked for someone to blame, and settled on Standard & Poors for that AAA rating. It sued Standard & Poors for negligent misrepresentation, asserting that the ratings company should be held responsible for the losses suffered by CalPERS. We agree with CalPERS this evidence reflects that the Rating Agencies published the ratings from a position of superior knowledge, information and expertise regarding the SIVs’ composition, underlying structure and function that was not generally available in the market. More specifically, we conclude this evidence reflects not only that the Agencies employed superior knowledge and special information and expertise to assign ratings to the SIVs, they employed their special knowledge, information and expertise to participate in, and exert control over, the very construction of the SIVs. As such, we agree with CalPERS a prima facie case has been made that the ratings are actionable as ‘professional opinions’ or ‘deliberate affirmations of fact’ regarding the nature and quality of the SIV product. While pure opinion speech is of course protected, and would generally protect Standard & Poor’s from it predictions, “the same cannot be said of the ratings at issue here, which were allegedly issued for private use by the limited class of investors dealing in complex and esoteric nonregistered securities,” Jenkins said. The case is California Public Employees’ Retirement System, Inc. v. Moody’s Investors Services, Inc., 14 S.O.S. 2584. I have provided below the actual file-stamped copy of the complaint (complete with Civil Case Cover Sheet!) and the opinion of the Court of Appeal. I have also attached a copy of the Order on a demurrer in the action. It has nothing to do with what we are discussing, but I wanted you to see it so you don’t make the same mistake the attorneys at Berman DeValerio made. Well, it’s not so much a mistake, per se, ab initio, but they prepared the proposed order and entitled the document “[Proposed] Order blah, blah, blah.” So far so good. The judge then reviews and signs the Order, and crosses out the word “proposed” in the name of the document. But then thinking that the footer has to exactly match the name of the document, the attorneys at Berman DeValerio (I’m guessing it was Daniel Barenbaum because he has a pretty high bar number, whereas Joseph Tabacco stated practicing back when IBM Mag Card typewriters were on the bleeding edge of technology, and he would therefore be very frugal with keystrokes) then put that exact title in the footer of every page in the proposed order. Poor Judge Kramer then had to cross out the word “Proposed” on every single page. No wonder it takes so long to get a case to trial in San Francisco. I never put the word “proposed” in the footer, and so far no one has ever complained. What is the purpose of an anti-SLAPP motion? Contrary to the seeming belief of some attorneys, the purpose of is anti-SLAPP motion is not just to recover attorney fees. Of course you should seek attorney fees after a successful anti-SLAPP motion, but the purpose of the motion is to extract your client from a wrongful and harassing lawsuit as quickly as possible. Indeed, in a perfect world, when your client was served with a SLAPP, you would contact opposing counsel, instruct him on the error of his ways, and get a dismissal without ever having to bring an anti-SLAPP motion. In the real world, that’s not normally a viable option. Putting the opposition on notice that they have filed a SLAPP could afford them the opportunity to amend in order to change the nature of the action. Your effort to avoid further litigation could actually result in your client being trapped in an action that could have been disposed of with the anti-SLAPP motion. However, after the anti-SLAPP motion is filed, the negotiations to end the action can begin. I have been successful in this effort on at least two occasions that I recall. I contacted opposing counsel, informed him of the attorney fees that had been incurred to date, and afforded the opportunity to settle the matter for the payment of those fees and costs before the case went any further. SLAPP002 – Can Claims Against Lawyers Be Defeated with an Anti-SLAPP Motion? In the last episode of the California SLAPP Law Podcast, I explained how crucial it is for every California litigator to understand this sweeping area of the law. There is virtually no litigation practice that won’t be impacted by the anti-SLAPP statutes. If that was not persuasive enough, let me bring in a little closer to home. In today’s episode I discuss the common causes of action that are pursued against attorneys, and examine which of those have been found to fall under the anti-SLAPP statutes. Can claims against lawyers be defeated with anti-SLAPP motions? BLEAVINS v. DEMAREST (2011) 196 Cal. App. 4th 1533; 127 Cal. Rptr. 3d 580. In a neighbor dispute, court determined if a party to an action can sue the opposition’s attorney for malpractice. 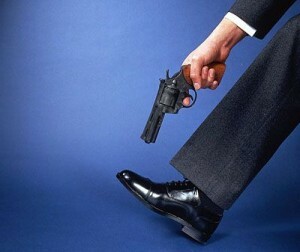 Does an attorney breach the duty of loyalty owed a former client when he or she actively takes a position against the former client on the same issue for which the lawyer previously had been retained, even though the lawyer is acting on his or her own behalf and there is no subsequent representation or employment? Holding that legal malpractice actions are categorically outside the reach of the anti-SLAPP statute. A malicious prosecution action can be based only on the filing of a lawsuit. Discusses breach of fiduciary duty action against law firm and the interplay of California’s SLAPP Law. Every week I get callers complaining about the anti-SLAPP statutes and/or the litigation privilege. The scenario is almost always the same. The caller sued someone for defamation for something they said in conjunction with litigation or an investigation by some government agency, and the caller was hit with an anti-SLAPP motion. The caller is outraged that the anti-SLAPP motion is keeping him from getting damages for the allegedly false statements made in court or court documents. The outrage is misplaced, because the law is working properly by preventing the callers from doing what they are trying to do. The legal system cannot function without a litigation privilege. That privilege provides that anything said in conjunction with litigation is privileged, and cannot form the basis for a defamation action. And since the speech is privileged, a plaintiff can’t make an end run around the statute by just asserting different causes of action. I have written on this topic before, and the prior article shows what the justice system would be like without the litigation privilege. Today I argued an anti-SLAPP motion in Los Angeles Superior Court, and the facts of the case provide a real life example of why the litigation privilege is so essential. Let’s call the plaintiff in this case John. John decided one day that his employer was discriminating against him, and filed a complaint with the EEOC on that basis. There was then a dispute with his employer, with the employer saying John had violated a company policy and John denying that claim. The employer fired John for the alleged violation. 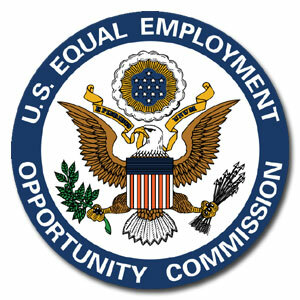 John argued to the EEOC that the termination for the alleged violation was just more evidence of discrimination. This case is a few years old, but it illustrates how anti-SLAPP issues can come up in just about any context. In this entertaining case, Hallmark Cards published a card using Paris Hilton’s likeness, and her ridiculous tag-line, “that’s hot”. 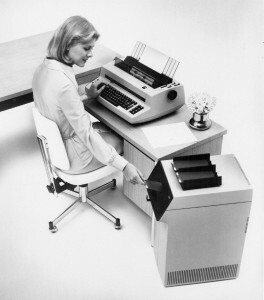 Hilton sued for the unauthorized commercial use of her image and, incredibly, Hallmark brought an anti-SLAPP motion, claiming the card was a matter of public interest. The trial court denied the anti-SLAPP motion, finding the card and its speech was not a matter of public interest, and the Court of Appeals for the Ninth Circuit agreed. Here is the complete opinion. I get this type of call perhaps twice a week, so I decided to post this article, in order to provide detailed information to prospective clients who bring up these issues. Here is the scenario. The caller is convinced that he is being slandered, but does not know exactly what is being said. He may know who is making the statements, but has heard only rumors about what is being said, or has witnessed only the consequences of the statements. Often the issue will arise in the workplace, where because of the statements of a co-worker, the caller is being passed over for promotions, or perhaps was terminated because of those statements. Other times it might be a neighborhood situation, where the caller feels he is being shunned by neighbors and has reason to believe it is because of something said at an HOA meeting. The problem with this sort of case is that you can’t determine if you are being defamed until you know what is being said. The consequence of a false statement can be severe, but that does not mean the statement is defamatory. For example, you might be entirely correct that you are being passed over for promotions because of something being said by a co-worker, but that co-worker might simply be saying that you are lazy and should not be promoted. That statement is not defamatory, because it is an opinion. Defamation can be very nuanced, and whether a statement is defamatory can come down to a single word or even the voice inflection used.